Big city data guy takes over from rural telco guy. Louisiana Senators John Kennedy and Bill Cassidy didn't even try to protect jobs by blocking the Century - Level 3 merger. Century, Louisiana's largest company and America's third largest telco, will now be managed by Jeff Storey from Colorado. Predictably, executive jobs will migrate to Denver. Storey never moved from Colorado. Just a few months ago, Century wrote, "Glen F. Post III will remain CEO until Jan. 1, 2019; then expected to become executive chairman." Century stock has lost one-third of its value over the last nine months, so Storey probably had little trouble convincing the board to make the move early. They also blocked Post from the promised chairmanship. In a parting shot, the official photos have Storey looking sleek and Post badly in need of a shave. Century has a goal of 40 megabits to most by 2020. That's probably "up to 40 megabits" and actually less. Their fiber and G.fast plans, modest already, have been cut. They simply aren't competitive with cable, which by 2020 will have a gigabit to 90%. Glenn Brett at Goldman has looked at the numbers and believes they can sustain the dividend. I look at the network and say if they don't cut the dividend trouble is near. Depreciation was $3B more than capex the last three years. Dividends were higher than income. The rumor is they will virtually abandon much of the wireline network. They will temporarily draw cash out to upgrade where they have better prospects. Frontier and Windstream, comparable companies, are down 80%+ to a price that only makes sense if bankruptcy is close. MONROE, La., March 6, 2018 /PRNewswire/ -- CenturyLink, Inc. (NYSE: CTL) today announced that Chief Executive Officer Glen F. Post, III intends to retire from the company effective the day of CenturyLink's 2018 Annual Shareholder Meeting in May. Post had previously announced his intention to retire effective Jan. 1, 2019. President and Chief Operating Officer Jeff Storey will become CenturyLink's CEO and President effective at the time of Post's retirement. "After serving as CenturyLink's CEO for more than 26 years, I have decided to retire effective at this year's shareholders' meeting," Post said. "While my original plan was to stay in my role through the end of 2018, Jeff has more than demonstrated his ability to assume this leadership role and I believe we should make this change sooner than originally planned. 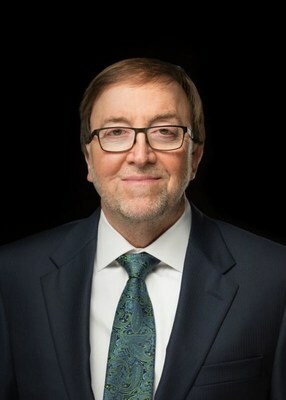 Also, while I will continue to serve the company as a board member, I will not assume the role of chairman of the board in order to ensure there is clarity that Jeff will be CenturyLink's new leader," Post added. "Through our employees' hard work and commitment and by the grace of God, CenturyLink has achieved remarkable success during my 42 years of service. Retiring after so many years is bittersweet, but I leave the company in great hands and I am confident in our future. I am grateful for the support I have enjoyed and I look forward to supporting Jeff as he leads CenturyLink in the years to come," Post concluded. "Glen has done a tremendous job leading CenturyLink. His vision has equipped CenturyLink with the capabilities to meet the ever-increasing demand for bandwidth, provide the digitalization of life for our consumer customers and address the evolving complexity for our enterprise customers," said Storey. "We have great opportunities ahead and I am excited to be part of the team that is carrying this legacy forward." "Glen has led CenturyLink's impressive rise to be one of the world's premier communications companies," Perry said. "Under his leadership, CenturyLink's annual revenues have grown from $281 million in 1991 to approximately $24 billion, on a pro forma basis, in 2017 and total assets have increased from nearly $765 million in 1991 to over $75 billion at year end 2017. It's a remarkable track record. But just as impressive is the steady example of selfless leadership, concern for others and doing the right thing that Glen has exhibited during his more than 40 years of service. He has left an indelible impression on the culture and history of our company," added Perry. "And we are fortunate to have Jeff following in his footsteps. Jeff has worked tirelessly to make the integration a success. He has a proven track record and we are highly confident in his ability to take the reins from Glen and push our vision forward."